Packaging ~ The lipsticks has a simple, travel-friendly, plastic black body with colored rings and colored stickers at the bottom. Texture ~ It's got a smooth texture and glides on easily. Does not feel heavy on lips no matter how much you layer it on. Finish ~ The lipsticks are creamy and has a finish. Orange Icon stays for 2-3 hours. Needs to be re-applied after a meal but Fuchsia Flare stays longer and even survives light snacking. Both fades evenly and leaves a tint behind. Does not feel dry and are very moisturizing. 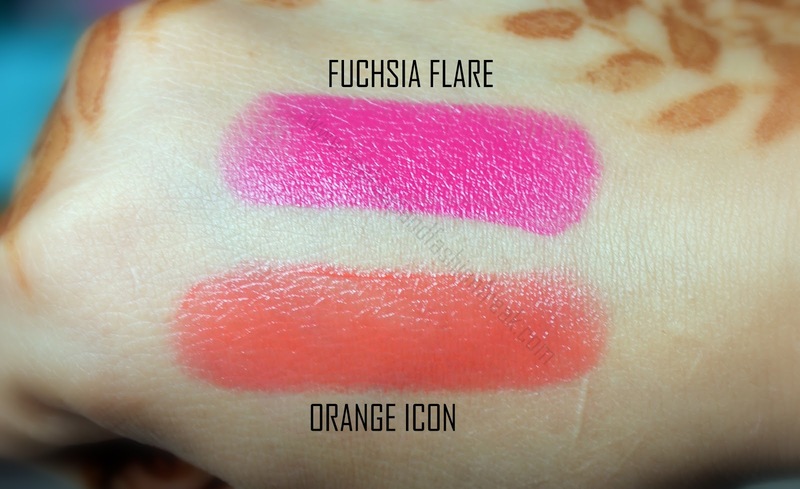 Color and Pigmentation ~ Fuchsia Flare is a gorgeous blue based fuchsia color and is very pigmented. It goes opaque in just one go. Orange Icon is a pretty light orange lipstick and is quite sheer and needs to be applied a couple of times to get the desired color. 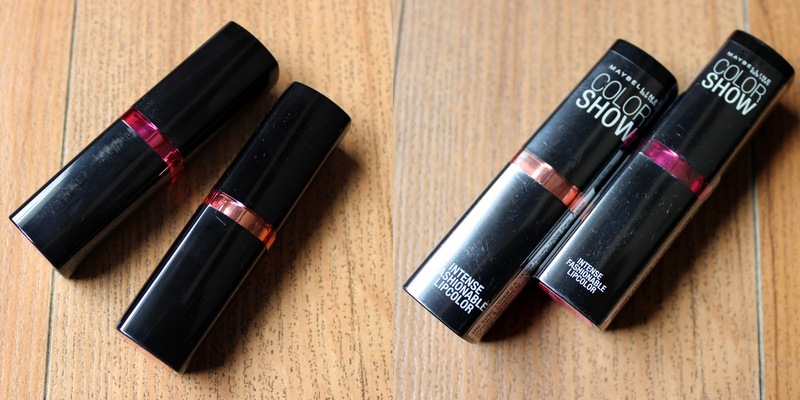 Fragrance ~ The lipsticks have a strong fruity fragrance and I am not so fond of it, though it fades away in sometime. 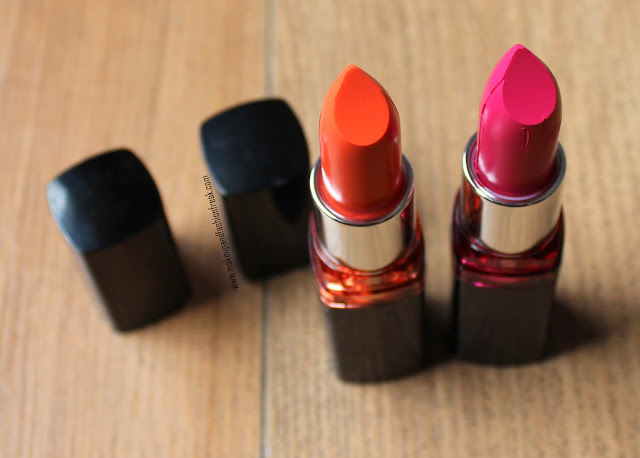 Overall, I am quite happy with the lipsticks except the fragrance. 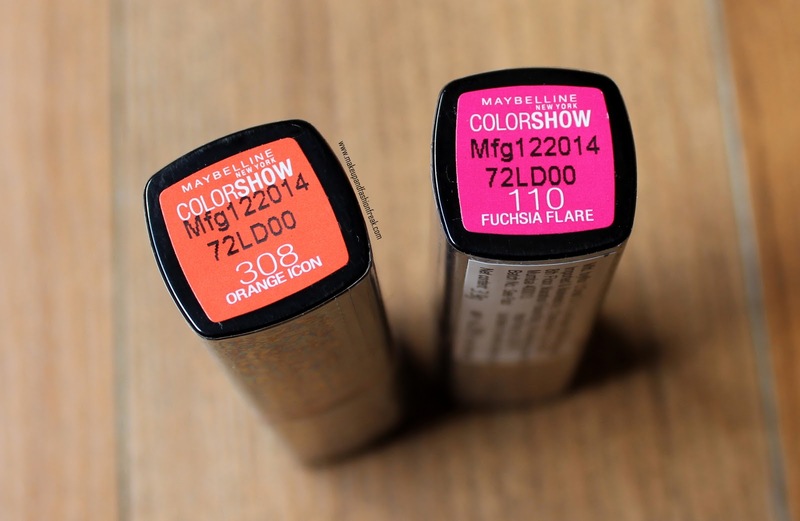 They are decently priced and have wide color range to suit Indian Skin Tone.